Where do you spend most of your time outside the home? Obviously it is at work. Well, it is not just a job, and certainly not just an adventure, but it might be a place you would like to enjoy, be comfortable, and maybe even feel like it is your second home. People naturally prefer a family-like atmosphere at work. And it is achievable. Everyone at work has multiple reasons for being there. While people need the job to provide a living wage, they want more. They want purpose. A purpose can be different things, like personal accomplishment, corporate success, selling better food, or providing critical medical care. People want to accomplish something that matters. The organization takes care of its employees and they take care of it. This ends up feeling a lot like family, where we are in it together, need to help one another, and have the common good at heart. There are many ways to build that family-like feeling in your organization. You build it by encouraging it, by the right attitude, and by the little things people interpret as family. • Set up teams where workers participate in decision-making and responsibility for their outcomes. Workers should be a part of designing the success of the organization. • Engage employees by soliciting their ideas and feedback. • Foster a sense of group cohesion and togetherness through identity, shared mission, mutual dependence. Do this conceptually and through little things like company shirts, a logo, and community projects. Provide a shared meal for them once in a while. • Make sure every supervisor listens to employee concerns. Make sure every supervisor discusses the employees’ needs. • Provide opportunities for growth and development. 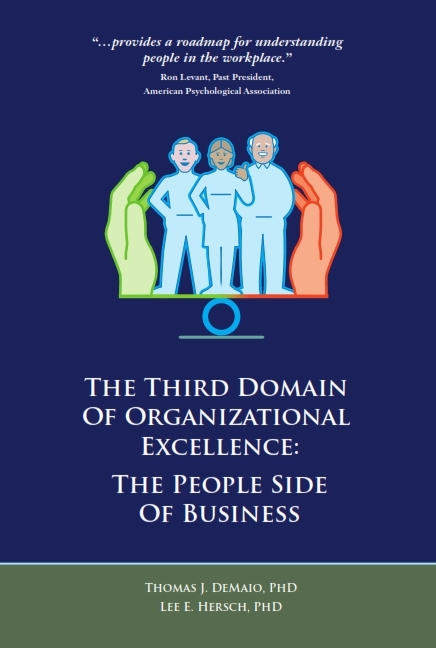 • Link organizational success to personal employee success. Acknowledge contributions to the organization. • Encourage workers to get to know each other through informal and formal means. • Communicate, communicate, communicate. Share plans, solicit input, be as open as possible. Building a family-like atmosphere is not overly complicated. And there are many models and ideas in other organizations about how it can be done successfully. Mostly you have to decide that it is a valuable part of maximizing the satisfaction and productivity of your staff. Family-like environments in the work setting help employees perform at their best. They produce emotionally safe and secure settings for people to work together for the success of the organization. Some years ago I was asked to consult with a team of nurses on one hospital floor. A year prior to bringing me in the hospital had reorganized and combined two groups of nurses. Unfortunately these nurses still operated as two separate entities: members of the original groups hung out together, complained about each other, and did not appropriately share responsibility for patient care on the floor. When I met with the group the nurses explained that they had a long history with their respective original groups and that they had not been happy about the combining. There was nothing specific, just us and them. The unit manager was flabbergasted by the behavior of the nurses. In the process of a larger team meeting the nurses agreed that they were less effective operating as two teams on the unit. In fact they were at a loss to explain the failure to come together. With my help they were able to see the external forces that subtlety kept them apart (three shifts, no deliberate plan to join them, a busy schedule, and other factors). All of them understood that it had taken years to gain the original trust and friendship with one another. Agreeing that continuing as two teams was not right, the group decided it was time to come together. I expressed my confidence that, with deliberate forethought, they could make a plan that would work. Indeed, the ideas began immediately landing on my flip chart. They arranged for meals together on all three shifts so that team members could talk and share histories. The unit manager suggested and found resources for a video about the unit (“Our Team on 3D”). There were other ideas, and most importantly, there was a commitment. Over the next several months I heard of their success pulling together. The unit manage reported that the team improved their sharing of responsibilities, reduced arguments, and generally showed much more happiness at work. She felt patient care had improved significantly. I also knew because they gave my name to other nursing units in the hospital and I could literally visit to see their success. You have been hearing me talk about emotional safety and security in the work environment as critical to getting the best performance from your employees. Well, one key element to this process is the building of a family-like work environment. What is this? It is the process of creating a workplace where people feel at home; where they are attached to the organization and want to make it succeed. When we first put our new book, The People Side of Business, out for comment we had a colleague and good friend, Skip, complain about this notion. “I keep telling people in business that the workplace is NOT a family. It is about performance and the mission of the organization.” Well, we actually agreed. The workplace IS about performance and mission. But the best performance comes from people who feel secure in their jobs and where there is a family-like system of caring for employees. People feel most comfortable in a work culture where they are in concert with the prevailing values. When they “believe” in what their organization stands for, they will contribute fully. When employees believe that the company wants the best for them (as well as the organization), they push themselves to meet goals. There is just no escaping the fact that humans bring a family lens to groups in which they participate. They see peers as siblings and supervisors as parent figures. Employees want exacting sibling fairness (with rules, pay scales, and overall treatment), and complete support and encouragement from their supervisors (with fair evaluations, individual attention, and personal recognition). One of the reasons that leaders can have such power is that we humans are wired to look for someone to give us direction. Leadership is not just about visionary acumen, but about people connection such that others will follow. It is our natural instinct to want, respect and appreciate parent figures. Now, while there are great advantages to understanding family phenomena in the work environment, there are also easy mines to step on. In my coming posts I’ll discuss the implications of the family lens, ways to achieve the family-like atmosphere, and the great value in teaming. There are common managerial problems that ruin emotional safety and security in the workplace. Here are some examples of things I have seen and heard from employees. 1)Bad attitudes: “My boss is chronically annoyed.” This is how one employee described his boss. He assumed it was because work production was not up to par and he was worried that the blame would eventually be pinned on his tail. 2)Dangers in the physical environment: “They didn’t bother to contain the dust from the construction down the hall; they don’t care about our health.” A worker explained that despite her expressed concerns there was an unwillingness to make sure her area was safe. The episode left her assuming no one cared about her as a person. 3)Judgmental management: “My manager reminds me regularly that I am their difficult employee.” Struggling to improve and succeed, this person kept hearing judgments that effectively told her she would never succeed. 4)Dishonest or disingenuous behaviors: “These people asked for my feedback, but I saw Sally get in trouble when she complained.” All too often management says that things are open and that feedback is desired. Well, not always. 5)Lack of commitment to employee success. “They’ve let me know I am replaceable.” An employee complained about an unnecessary process. The answer she heard was that they could find someone who didn’t mind their processes. She’ll never contribute again. 6)Negativity about employees or others: “I heard my manager talking to another about how she disliked Sally.” From this employee’s point of view it could just as well be her next time the managers chose to be negative about someone. It left her uncomfortable. She even wondered if she should inform her friend Sally. 7)Preoccupation with rules or ways of acting unrelated to outcomes: “There are a bunch of stupid rules here about lunch times, dress, and behavior that have nothing to do with doing my job.” Sometimes management wants to control, thinking that the controls matter. Usually there is too much control. 8)Not appreciating success, because it is expected. “We’ve been pushing and pushing to get things done by the deadline. Will this ever end?” Especially when there is growth, too often more and more is expected. When it is not acknowledged people lose the willingness to continue pushing hard. There are many ways to ruin the environment that makes it safe and secure for workers to operate at their best. Most of the time the problematic behavior is inadvertent. This can only be prevented by having a clear commitment and vision to creating a healthy, emotionally safe work environment.